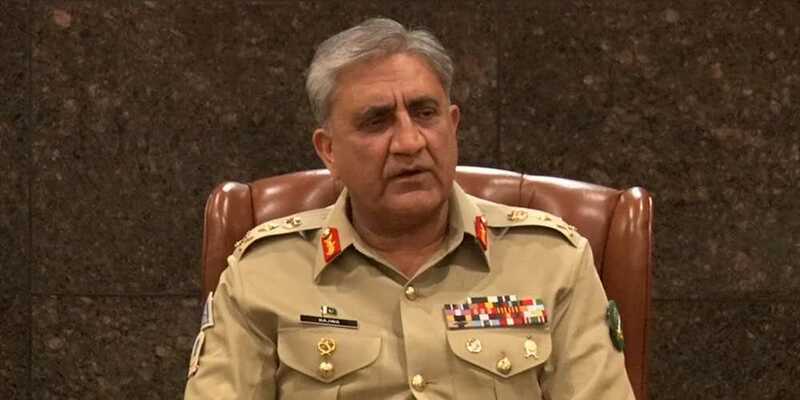 Chief of Army Staff General Qamar Javed Bajwa lauded the 'great sacrifice' by policemen, who were martyred on duty during a terrorist attack on Chinese Consulate in Karachi, said DG Inter-Services Public Relations on Friday. According to a tweet by DG ISPR, the army chief said that the Pakistan Rangers Sindh, police and law enforcement agencies responded with professional excellence. The army chief said that the armed forces are committed to weeding out terrorism and militancy from the country. Security forces on Friday morning foiled an attack on the Chinese Consulate in the Clifton Block-4 area of the city. Two policemen, Assistant Sub Inspector Ashraf Dawood and Constable Amir, were martyred and a security guard injured as three gunmen tried to enter the consulate around 9:00am. Two visa applicants from Quetta, a father and son identified as Niaz Muhammad and Muhammad Zahir Shah, also lost their lives in the attack.